If I had needed a GPS to find Joe’s Pub this week, I could easily have received directions from the very woman I was going to see. Karen Jacobsen was launching her seventh CD at the Pub on Tuesday night, and while fans would know of her music, most people would recognise her voice as the ‘Australian’ option on digital devices. She answers your questions on iPhone’s SIRI and tells you where to go via GPS with an accent born out of Mackay in Queensland. Karen jokes this was the tropical paradise she traded in for NYC. Nine out of ten of the most poisonous snakes in the world were in Mackay, but New York offered a perfect score! 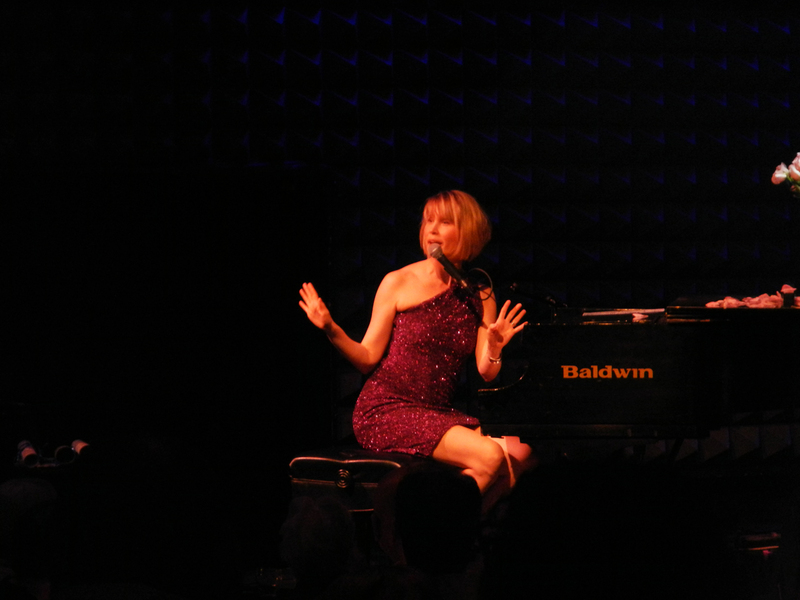 Karen’s performance was a collection of songs entitled ‘Take a Little Drive’, inspired by the tragic events of Sandy Hook in Connecticut last year. She talked a lot about how she, and many of us, need to ‘recalculate route’, a GPS term that also serves life when unexpected things happen. So there were some tears and some tales, accompanied by the grand piano and cellist Stephanie Winters. 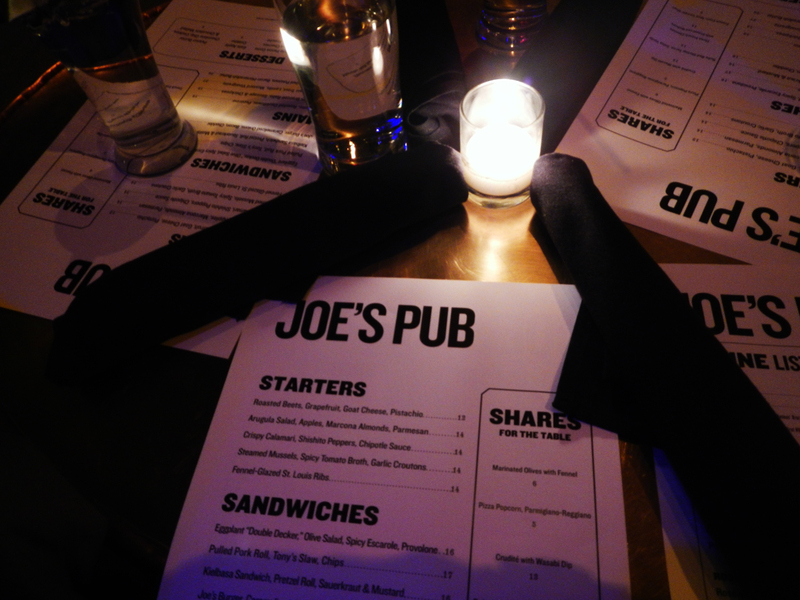 Joe’s Pub is not really a pub at all. It is an extension of the Public Theatre and with that comes the status of the man who established the venue along with the free ‘Shakespeare in the Park’ program in Central Park. Joseph Papp was a theatrical producer who believed in the accessibility of entertainment, and his ‘pub’ – more like a nightclub, hosts about 800 international artists a year performing across genres, from cabaret to jazz. This entry was posted in Australians at large, events. Bookmark the permalink. Thank you Rhonda. The weather has been so strange going from cold to hot, tons of rain and now humidity that looking at the garden is like watching time lapse photography. It is amazing – I don’t have to do anything, just enjoy it!